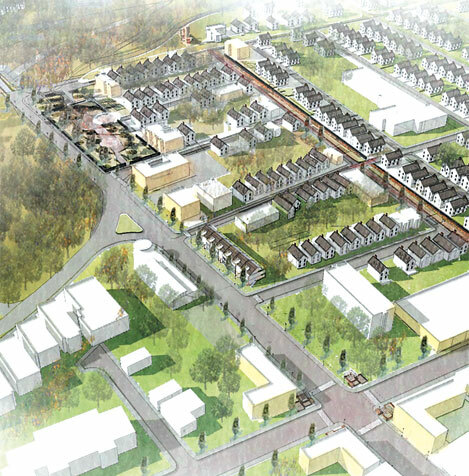 As an outgrowth of the CWRU Campus Master Plan, ReThink Advisors assisted in developing a neighborhood plan in a historic and predominantly African American community, which resulted in a Concentrated Investment District that utilizes anchor-institution synergies to build community and economic opportunity, with longer-term aspirations to develop an EcoDistrict. As a result of this and other neighborhood outreach projects, ReThink has developed an expertise in the EcoDistrict Protocol, a new approach to district planning that prioritizes equitable growth and health impacts in the planning and urban design process. Recent research shows that community resilience is fundamentally an issue of social cohesion, which is impacted as much by economic opportunity and wellness as it is by the built environment.